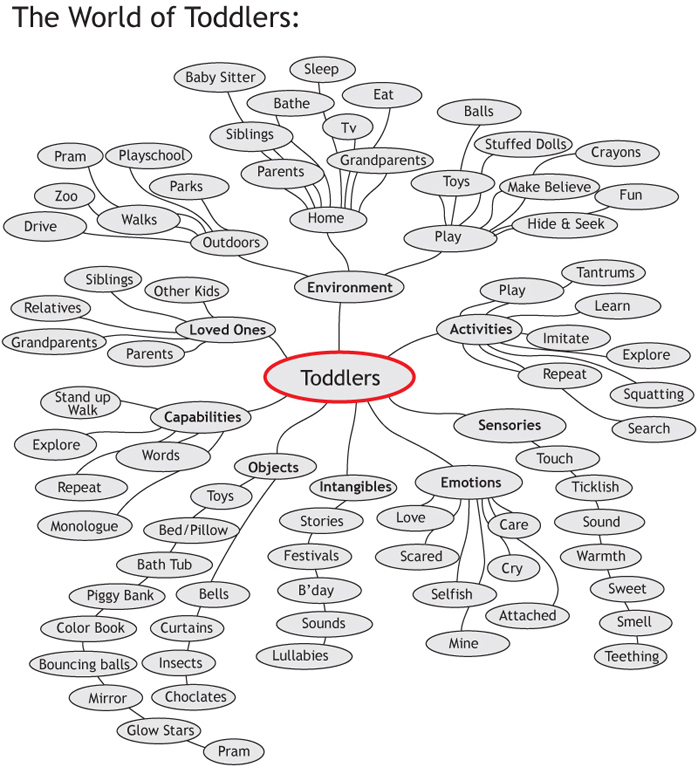 The mapping shows the world of toddlers. These factors would vary depending on the context, environment, place, etc. This provides the basic network connections. Add and modify to suit your design requirements. Doing the mapping on your own is also a great way to understand the worldview of your problem area and discover unusual connections. This map is adopted from the works of M. Des. students Amisha Bunker, Muthukumar and Pranav Mistry.